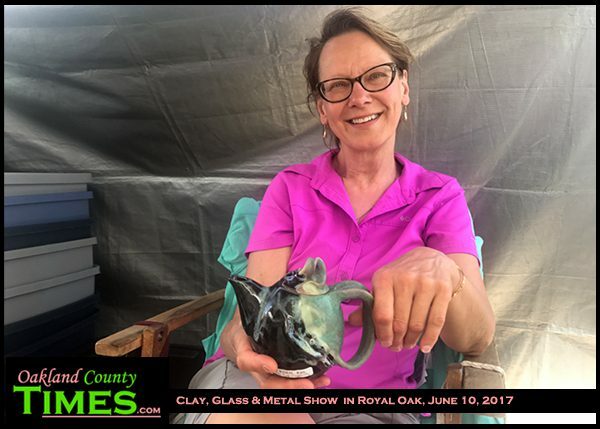 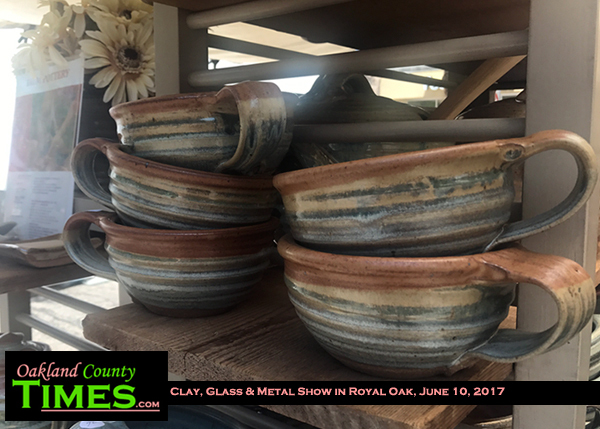 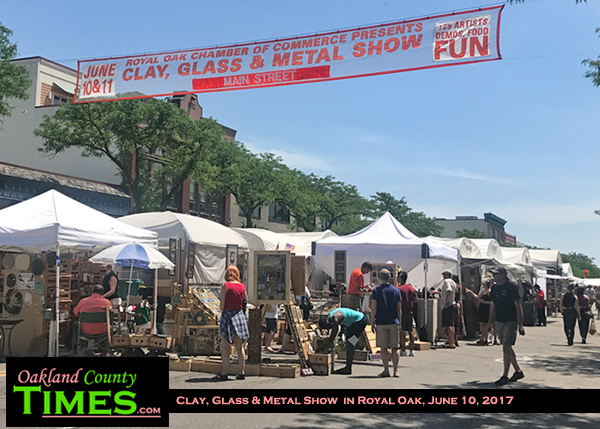 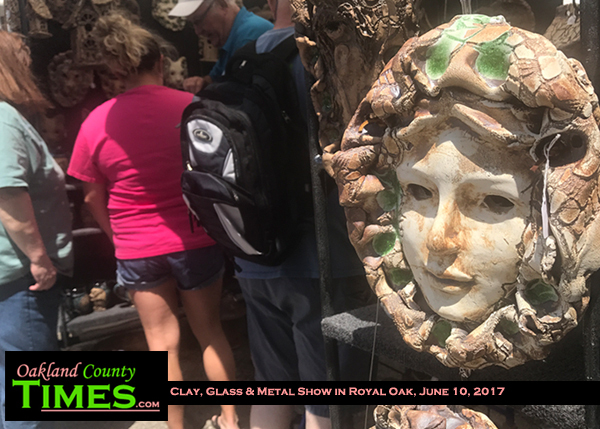 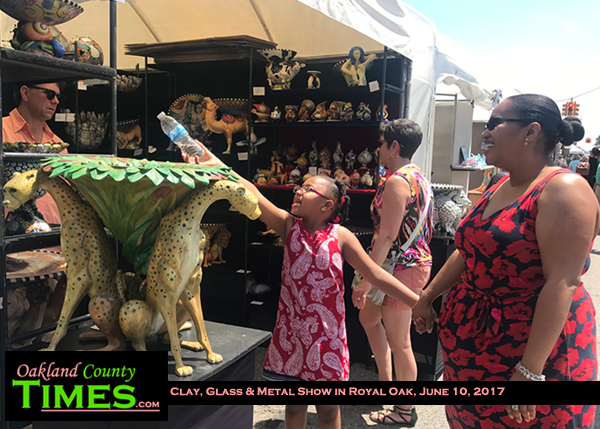 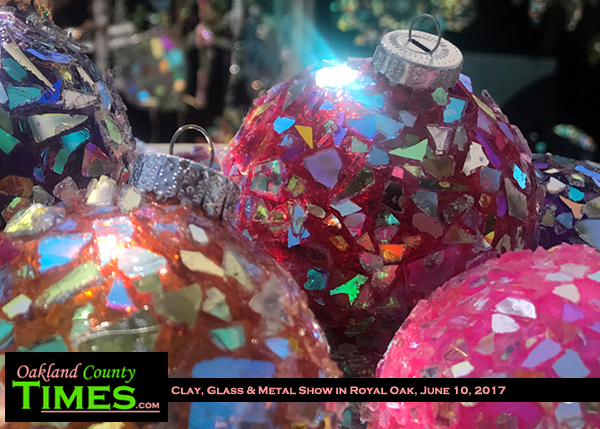 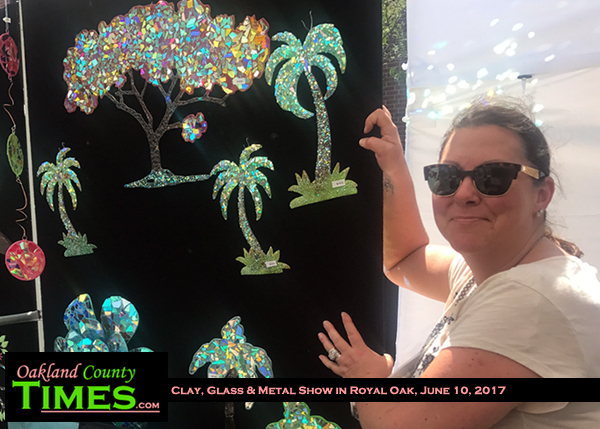 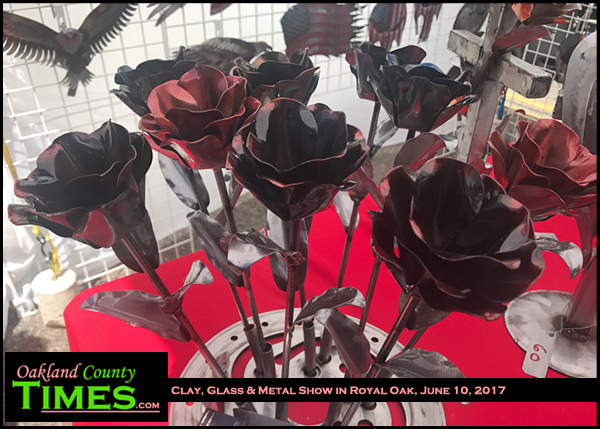 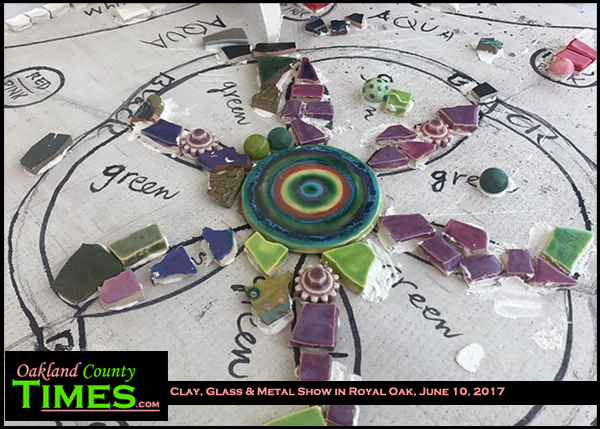 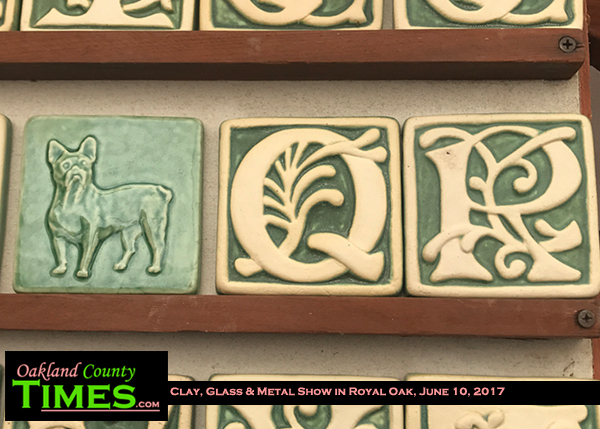 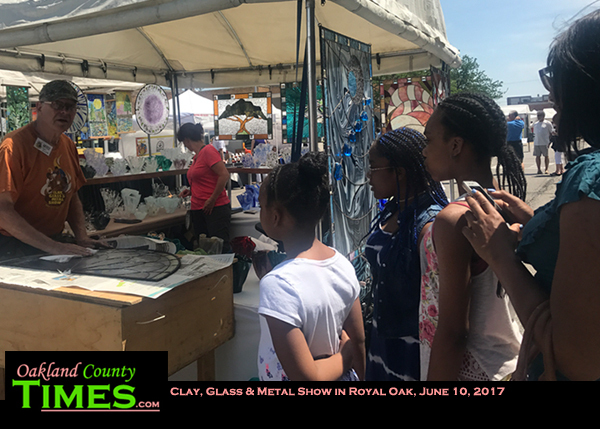 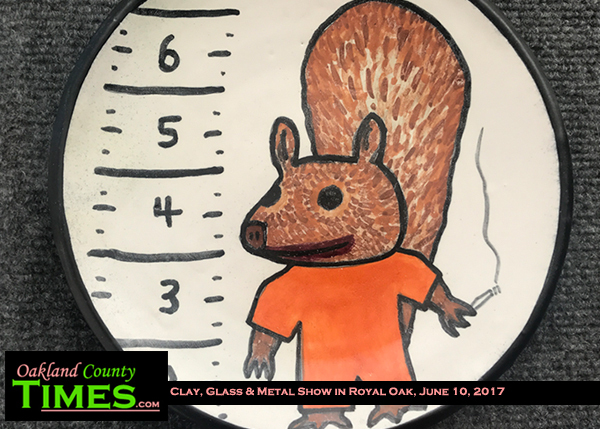 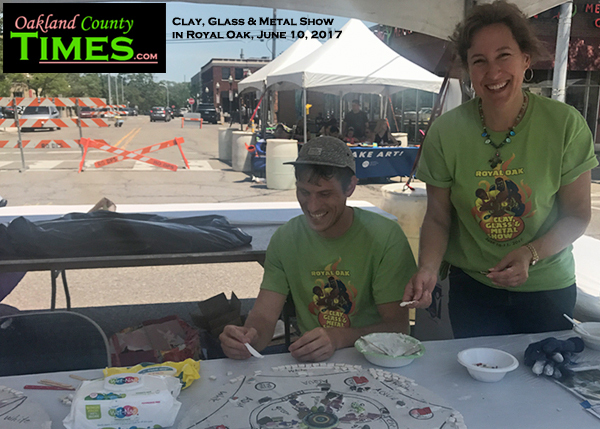 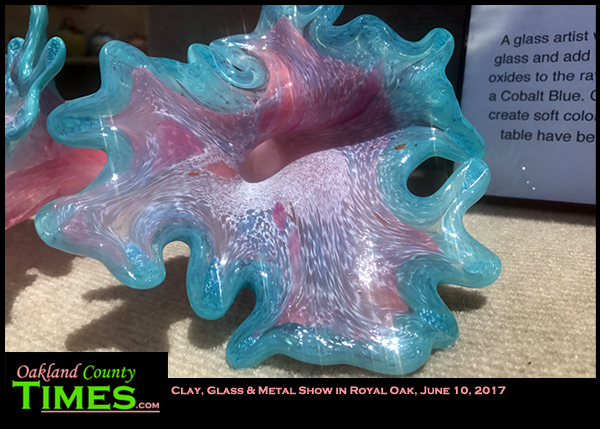 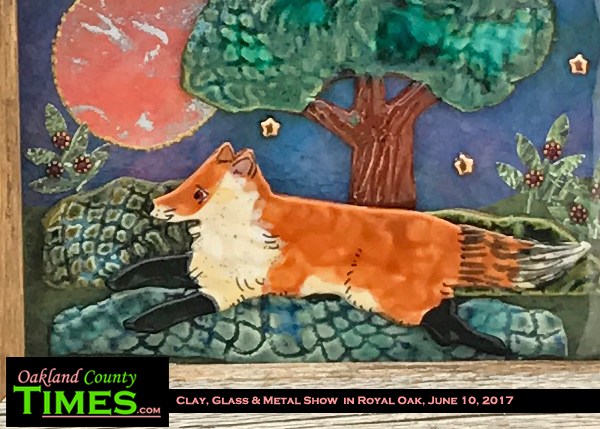 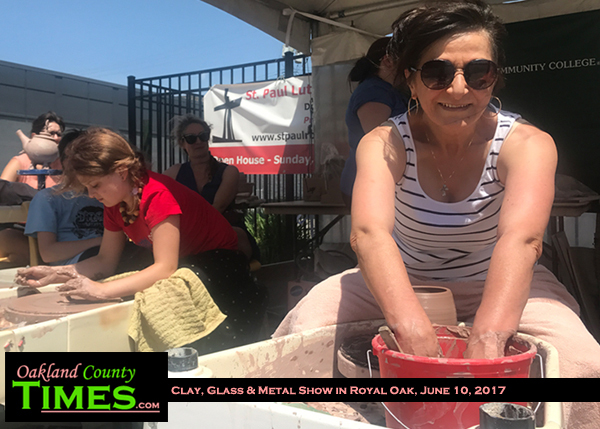 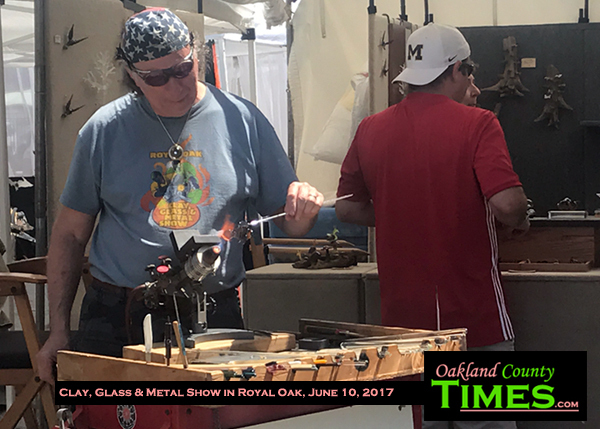 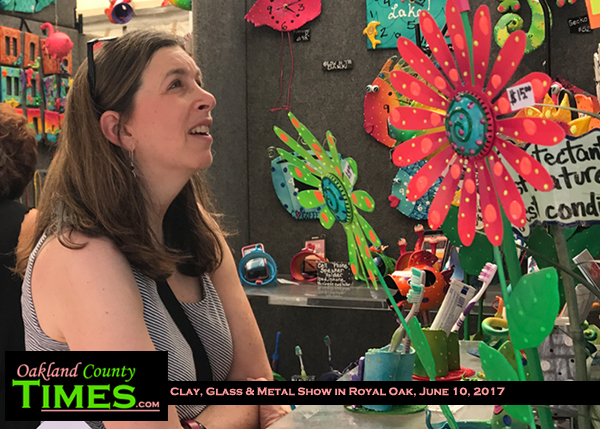 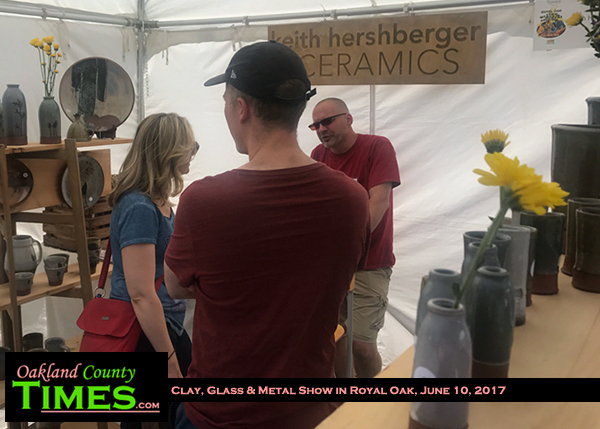 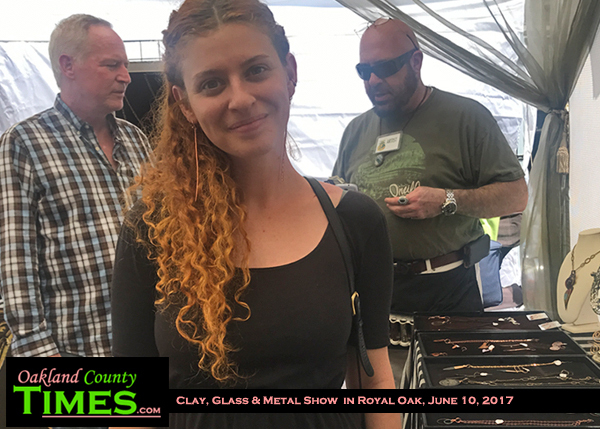 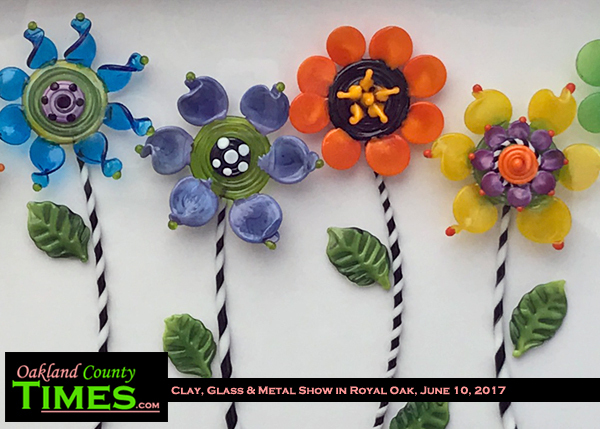 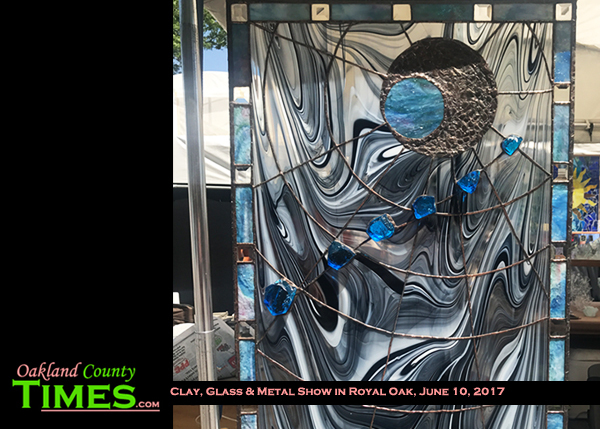 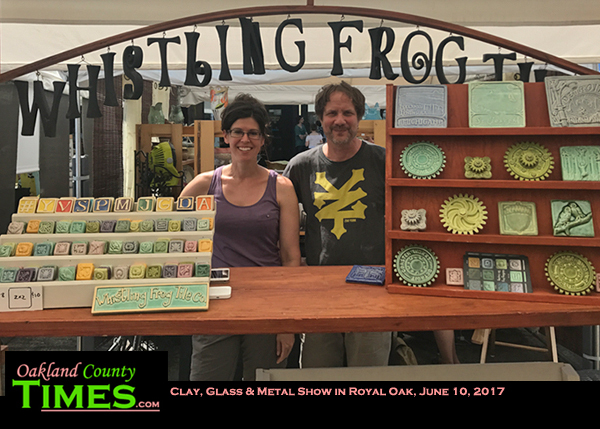 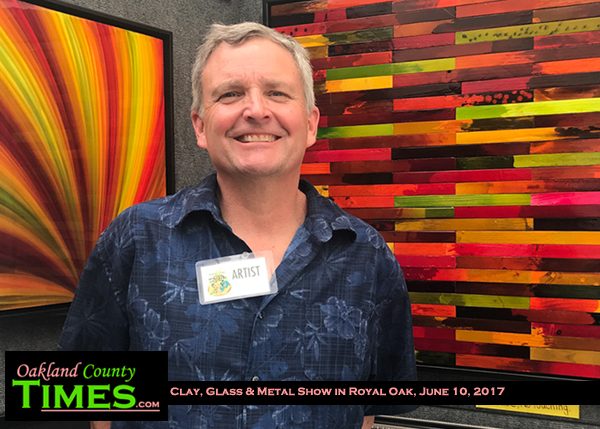 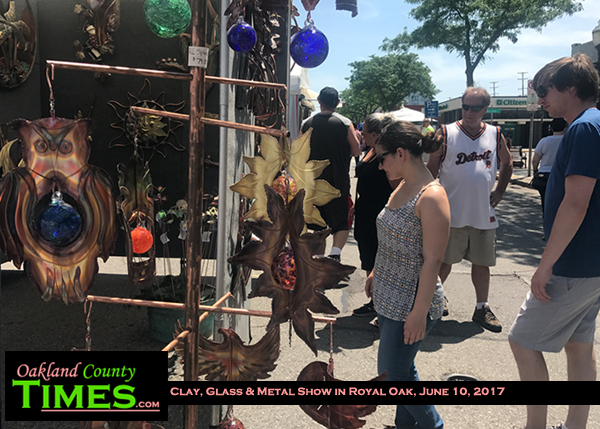 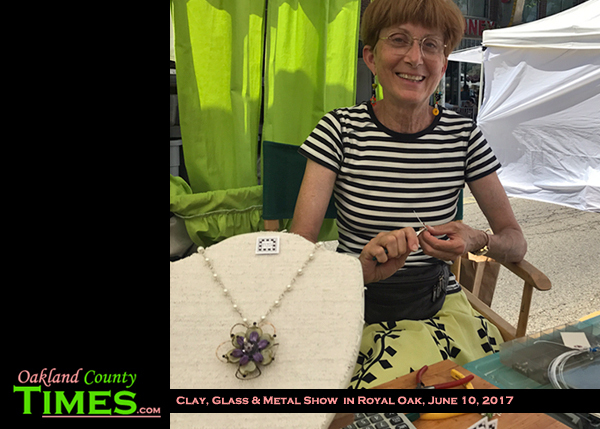 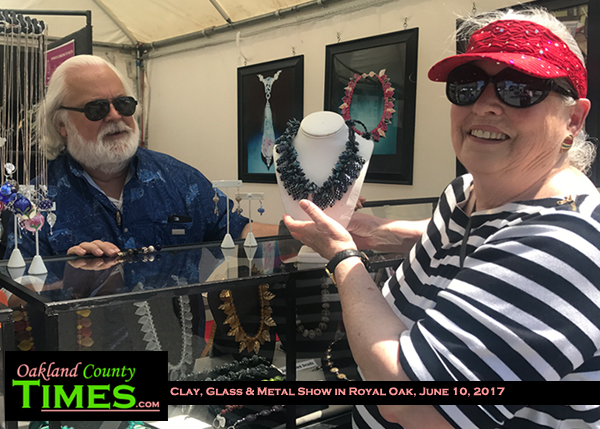 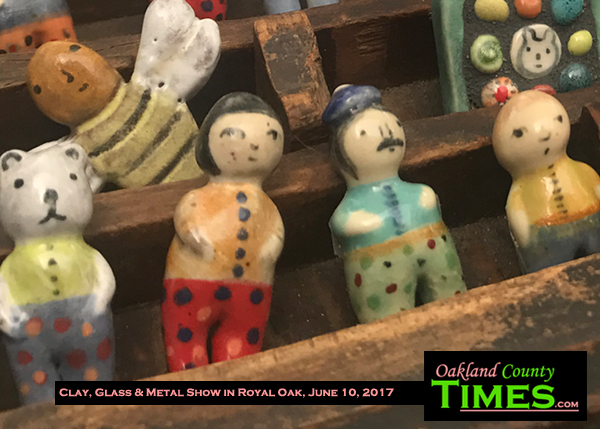 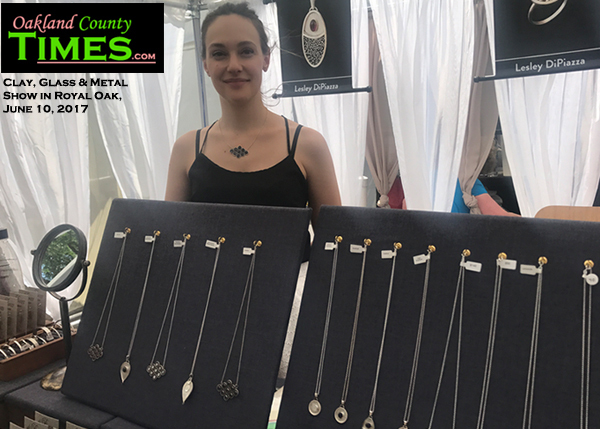 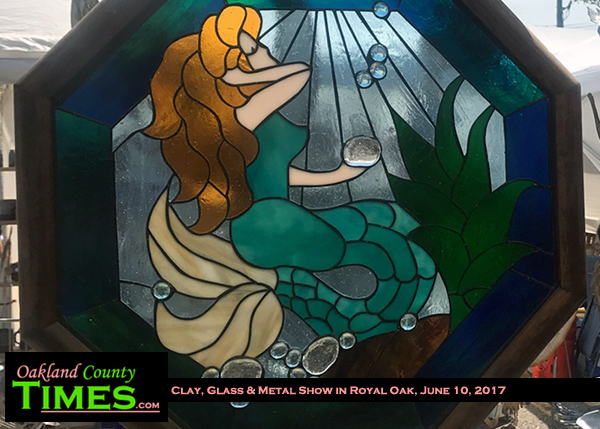 Royal Oak, MI – Sunshine sparkled off an abundance of artwork at the Royal Oak Clay, Glass and Metal Show Saturday afternoon. 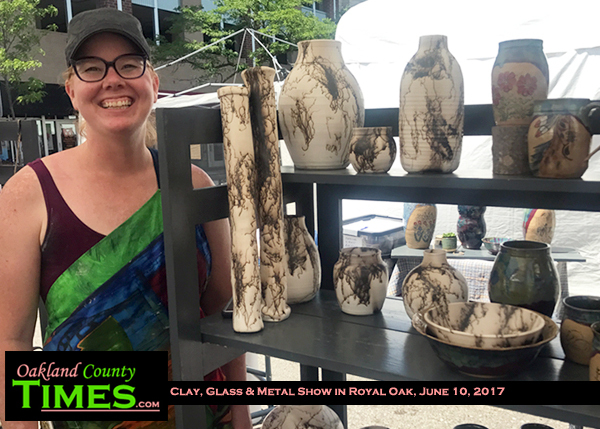 The show, which attracts artists from all over the country, continues through Sunday June 11 on Main Street in Downtown Royal Oak. 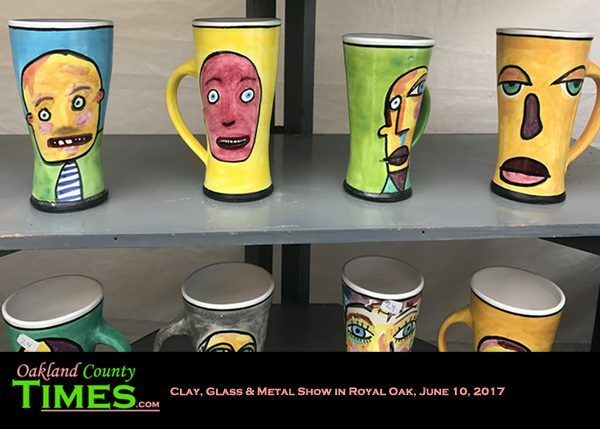 The show features a variety of styles and themes, showcasing the flexibility of each media. 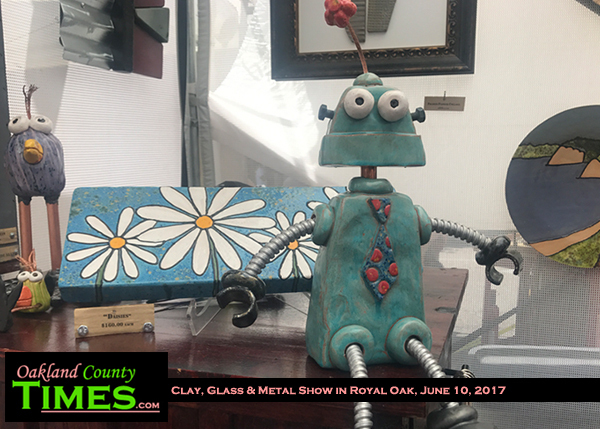 Among the art Saturday was a blue clay robot with springs-like arms and large silly eyes created by Bechler Pottery of Honor, MI. 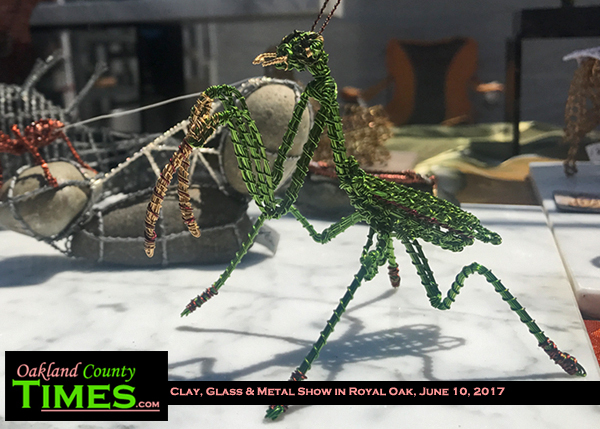 There were creatures and scenes made of twisted wire by Lonnie Ingram of Baltimore, MD, Fancy glass flowers made by Faith Wickey and and stained glass by Larry and Connie Harris of Harris Custom Glass. 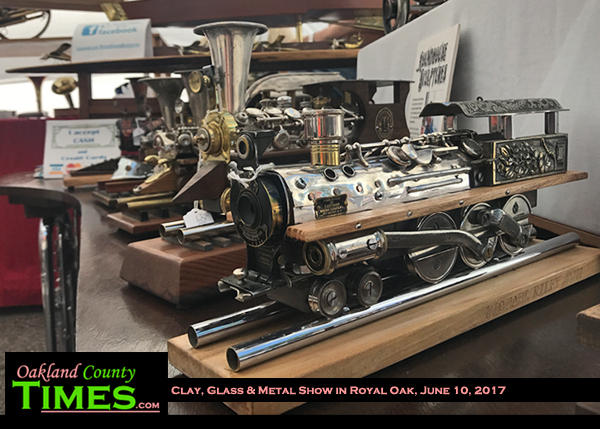 Michael Riley of Roundhouse Sculptures had some unique items, including model trains made out of old wind instruments. 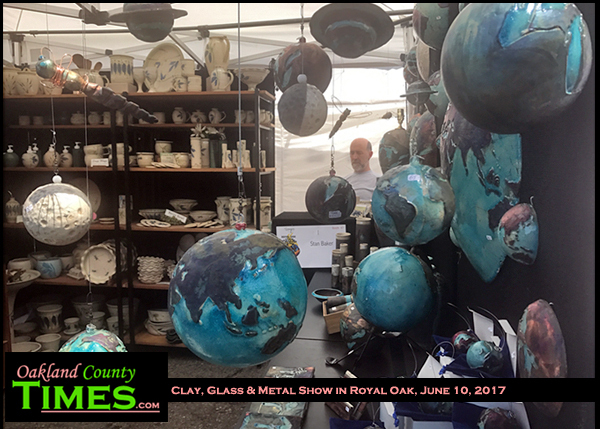 And Stan Baker, potter at Highers Pottery Studio in Ann Arbor, was there with an incredible selection of pottery as well as sculptures of the moon, the earth and other celestial things. 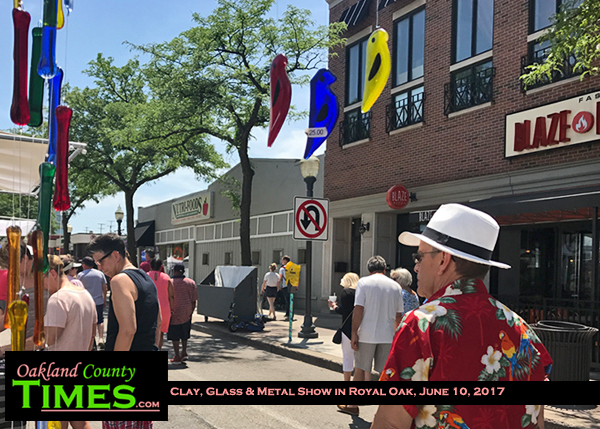 The Royal Oak Chamber of Commerce, organizers of the event, were there with a community-wide mural for people to help create. 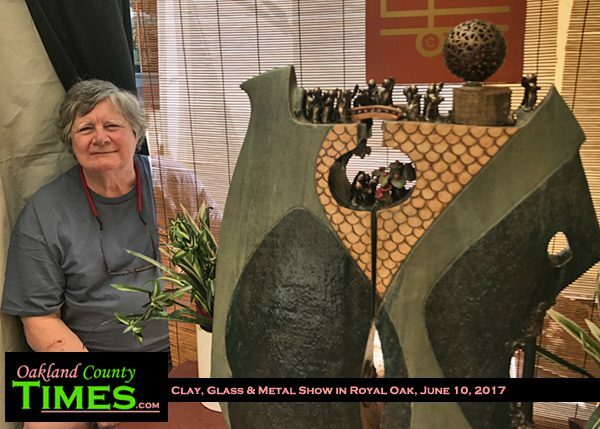 The Clay, Glass and Metal Show continues Sunday from 11am to 5pm. 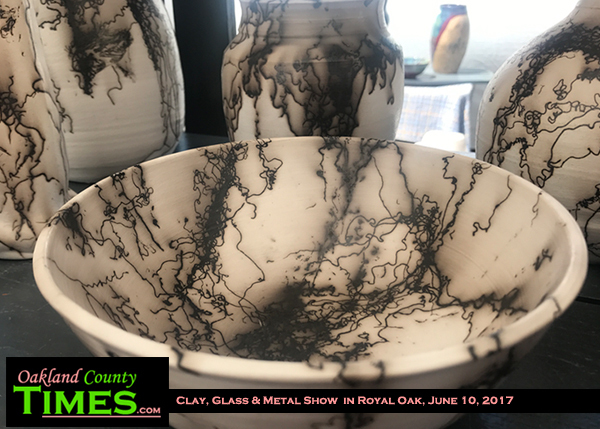 For more info go to https://www.facebook.com/ClayGlassMetal/.